White remains the most popular window frame colour, however, UPVC windows can be finished in a wide range of other colour options. If you are considering replacing your double-glazed windows and are keen to move away from white, we offer a few points for consideration. The first point to consider is that once installed, your double-glazed windows are likely to be in place for several decades. There’s no need to repaint uPVC window frames, so you have to be confident that your colour selection will stand the test of time. If you are likely to move to a new house in the next decade, you also need to consider whether the colour you select has general appeal. You may love a bright, bold tone, but consider the impact on the resale value of your property. Having said this, if you have a quirky home, colour may further enhance its character. If you reside in a period property, take a look at the colours that were in vogue when your house was built. In Georgian townhouses, colour pallets were limited to show off decorative design details, so black and white are popular colours for windows and doors. In the Victorian era, the design was simplified and colour became more popular. Brunswick Green, Plum and other deep rich tones can be used to great effect on uPVC windows and front doors. It is important to note that in some conservation areas, there can be restrictions in the colours that are permitted. Whether you opt for muted, dark or bright colours, you want to create a harmonious exterior. To help you make the right decision, take a look at the other building materials that have been used on your home. Any coloured uPVC window frames should complement the brick colour, roof tiles, stonework, timber cladding and painted facades. It can be useful to request a sample of a coloured window frame. This allows you to stand back and view the colour in natural light, in the right setting. It could confirm that you’ve made the correct decision, or put you off the idea completely. 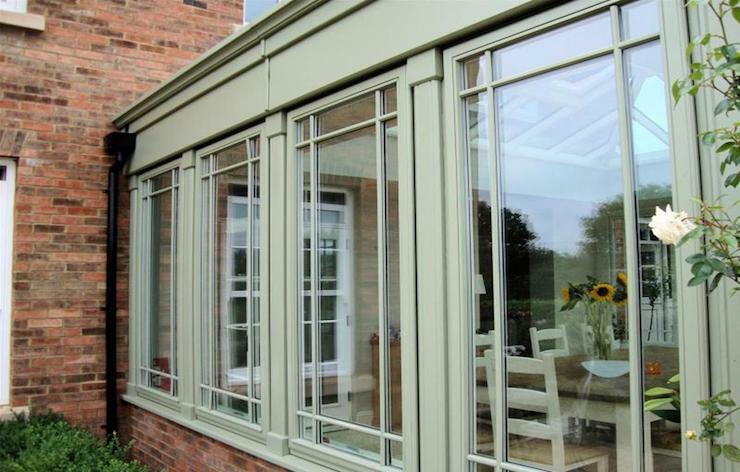 if you are looking for coloured upvc window frames in Leicestershire, Select Home have you covered.